Thanks to Daniel Craig (and his underrated predecessor Timothy Dalton) we’ve heard a lot of the phrase “Fleming’s Bond,” as in “Craig comes closest to Fleming’s Bond, the ruthless government assassin” and so on. This phrase has always rang false to me, because Fleming’s version of the character was never fixed. 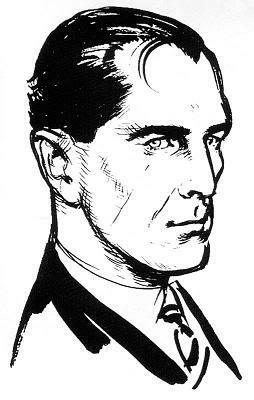 “Fleming’s Bond” assumes that James Bond remained a static character, but Fleming lived with Bond for over a decade, during which his relationship with the character changed. There are several Bonds we could call “Fleming’s Bond”—the different versions of the character roughly correspond to the beginning, middle, and end of Fleming’s career as a novelist. That machine is the figure who stars in Live and Let Die, Moonraker, and Diamonds Are Forever, all carefully-controlled, procedural and mostly down-to-earth books. He is the consummate professional, his character kept flat. Those who claim Bond has sense of humor likely have this incarnation in mind. While there is some personal growth—the Bond who rages about being assigned a female colleague in Casino Royale has no complaints about being paired with policewoman Gala Brand in Moonraker—it’s not until the final third of Diamonds Are Forever that Bond’s personality thaws, when he falls in love with Tiffany Case (perhaps Fleming’s best heroine). Dr. No – The Turning Point In Fleming’s Bond?